In this segment, Bill and I will be discussing why the Church — the Bride of Christ — is not destined to suffer the wrath of God. Bill Salus: 1 Thessalonians 5:9 says that "God did not appoint us to suffer wrath." Nathan Jones: Oh, yes, there are many verses that tell us that Christians are not destined to suffer the wrath of God. Bill Salus: I find it interesting, and I think people might want to take some time to study this, is the prophetic inferences of the Seven Letters to the Seven Churches. In the letter to Thyatira, that church is promised to go into the sick bed of the Great Tribulation, while the church at Philadelphia will be kept from the hour of trial. Bill Salus: It is very interesting that one of the purposes of the Seven Letters to the Seven Churches (and there were several purposes; and of course they were literal churches at the time Revelation was written) is the prophetic interpretation that they would be outlining church history in advance. Therefore, a lot of people suggest that the church of Thyatira pretty much embodies Roman Catholicism, though not that all Catholics of course are going to be unsaved and cast into the Tribulation. Next, we are shown the evangelical Philadelphian type of church that went out and missionized the world in the 1800's and 1900's, opening the door to a great spiritual revival. Philadelphia represents the church on Earth that is caught up to Heaven. I think there are some good arguments for that. Therefore, it looks like it is the true church on Earth that is raptured out and is in Heaven for Revelation chapters 4 and 5, and I tend to subscribe to that. When we get to Revelation 6 the seals start to be opened. The first seal appears to be the emergence of the Antichrist and the beginning of the Tribulation. So, that to me is a strong point as to why the Rapture will be Pre-Tribulational. Nathan Jones: Indeed, the entire Church Age can be encapsulated in Revelation 2 or 3. Each church represents a different time period within the Church Age, with the last church being Laodicea which is the apathetic church. Look at around today and see the churches just rolling in apathy with a lot of their strength gone. You mentioned Revelation 3:10 which reads, "Since you have kept my command to endure patiently, I will also keep you from the hour of trial that is going to come on the whole world to test those who live on the Earth." That is a wonderful promise to the church of Philadelphia — the believing, dedicated Church — that they would be kept from the trials that are going to come on the Earth. Paul shows that promise again in 1 Thessalonians 1:10, "And to wait for a Son from Heaven whom He raised from the dead, Jesus who rescues us from the coming wrath." Also, 1 Thessalonians 5:9, "For God did not appoint us to suffer wrath, but to receive salvation through our Lord Jesus Christ." Bill Salus: That is the passage I was referring to. That's the one that a lot of people argue to show we are going to be kept from that wrath and that we are not appointed to it. Nathan Jones: There are more verses — go to Romans 5:9, Ephesians 5:6, Colossians 3:4. Again and again and again in the New Testament Jesus and the Apostles say that the Church will be kept from God's wrath. Nathan Jones: We need to bear in mind Paul's audience when he was describing the Rapture. 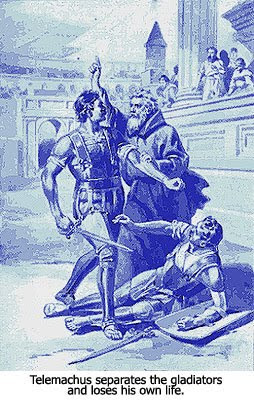 These were people who were enduring great persecution under such emperors as Nero and Diocletian. These were emperors who hated Christians. Those Christians were suffering immensely. They were being thrown to the lions. They knew persecution, but they knew there was a greater persecution coming and that they would be kept from that. Bill Salus: So, the Post-Trib Rapture viewpoint basically puts the Church through the Tribulation — the wrath of God — the seven year Tribulation. The Bride of Christ gets all battered and bruised. Nathan Jones: The "Protestant Purgatory," yes. Bill Salus: Then, all of a sudden, according to their view Jesus says, "I'll take you now." Not that we are kept from persecution as a Church, of course. Nathan Jones: No, no, we definitely endure trials and tribulations as Christians. But, we have got to get our minds around the difference between present sufferings and the sufferings under God's wrath. We have to look back at the Flood. The Flood was a particular time period when God poured out His wrath on an unbelieving, rebellious, really vile civilization to cleanse it and to bring some righteous people out of it. And so, even though believers suffer persecution, the Tribulation is just like the Flood. It is a special and separate time for God to pour out His wrath. He is going to use the Tribulation to bring a remnant of Israel back into believing in Yeshua as Messiah and to populate a Millennial Kingdom with peace, righteousness and justice with Jesus ruling from Jerusalem over a believing remnant. That is what makes the Tribulation just like the Flood, a separate period of time. Bill Salus: Speaking of that, we will encounter trials as a Church even before the Rapture. The Church historically has endured suffering. The Church in Smyrna in particular in those Revelation letters to the Churches of Revelation 2 was the martyred Church Age. Interestingly, I was watching this famous quarterback named Tim Tebow who is with a Florida college team. He did an interview. He had, as some of these football players do you'll often see, written John 3:16. Well, Tebow had John 16:33, and I thought I needed to read and find out what he was saying. Obviously, Tebow must be a Christian, so what is he saying there? And the verse says, "In the world you will have tribulation, but be of good cheer, I have overcome the world." This is Jesus saying this. Bill Salus: So, that is perfect. You know we are not going to be kept from tribulation, but we will be kept from the "hour of trial" due to the Pre-Trib Rapture. The wrath of God in that hour of trial. In the meanwhile, Christians will suffer persecution for their faith. Nathan Jones: Look at India and Pakistan right now. India is having terrible problems with Christians being burned alive. One of the ministries that Lamb and Lion supports, the gentlemen's translating organization gets kicked out of building after building after building because the owners are terrified that the Hindus will burn their building down for letting a Christian work in them. That is rather minor compared to the Christian orphanages being burned down in different sections of India. Pakistan has great persecution, then you've got the Sudan. You name it, other than the United States and maybe Australia, you see a physical persecution of Christians. And yet, in first world countries like the United States, Australia and England definitely there is legal persecution, the very beginnings of physical persecution. There was a time when the Puritans came to the New World to escape religious persecution from the Church of England, and now, I don't think there is any place for Christians to escape to. Maybe Texas! They can escape to Texas, but even here we see a lot of religious persecution going on in the legal systems. So, yes, I totally agree with you — Christians will suffer persecution. Again, though, the Tribulation is like the Flood. It is a separate time period, an earth-altering time period when God is going to change the world. God says He has a cup of wrath and when it reaches a certain level that is it. That is when He will finally act on His wrath. God has to deal with sin. He has to deal in judgment. If someone sins against us, we want to see justice done for our sin, don't we? Well, God is the same way. He wants to see justice done for people's continued rebellion and the horrible actions that everyone commits against one another. The only thing that makes Christians different is that we are forgiven and saved, but that is a very, very important difference. In this segment, Bill and I will be discussing the various views concerning the timing of the Rapture. Bill Salus: Let's talk about why the Rapture is a Pre-Trib event, happening before the Tribulation. Chuck Missler believes the Rapture will be a Pre-Tribulational event. He says to those that don't agree, thinking the Rapture will occur in the middle of the Tribulation (the Mid-Tribbers) or the end of the Tribulation (the Post-Tribbers), that when we are caught up Pre-Trib we will just explain it to them on the way up." What humor! But, there are a lot of arguments developed around the Rapture taking place during the middle of the Tribulation, or at the end of the Tribulation. Why do you feel that the Rapture happens in the beginning of the Tribulation, or is it before the Tribulation like in the Pre-Trib view? Nathan Jones: I had to get my mind around this topic early on. It's easy to listen to people and just say, "Yeah, he's right." But, I felt I had to go deeper and so sat down and went through the Rapture verses such as Isaiah 26:19-21; John 14:1-14; 1 Corinthians 15:51-58 and 1 Thessalonians 4:13-18. I also looked at the Second Coming verses such as Zechariah 14:1-21; Matthew 24:29-31 and Matthew's comparison in Mark and Luke; as well as Revelation 19. When one looks at the Second Coming verses of Jesus Christ, and then looks at the Rapture verses — they tell two different stories. And so, they must then be describing two very different events. For instance, in the Rapture believers meet Christ up in the air. We are brought from the ground up to the air, but in the Second Coming Jesus comes down to the Earth and actually lands on the Earth at the Mount of Olives, which then happens to split. Why would the Rapture verses leave out such a major piece of the story like the splitting of the Mount of Olives? It is all covered with graves right now, which I saw having been there. The Mount is actually going to break into two! That is a major event to leave out of the Rapture story. Bill Salus: So, the Rapture is not going to be a bungee cord drop where Jesus comes down, grabs us, goes up, and comes back down again? Nathan Jones: Oh, no, not at all. We continue to read in the Rapture believers go up to Heaven, but in the Second Coming glorified believers come from Heaven to meet Earthly believers already here. Where did those believers on Earth come from? In the nanosecond the Rapture happened people will come to know the Lord as Savior and be ready to meet Jesus? There has to be a time period between those two groups of believers. The Rapture is deliverance for the Church. We are delivered from the wrath to come. But, in the Second Coming there are believers enduring the wrath of the Tribulation, which Jesus rescues them from by His Second Coming at the end of the Tribulation. With the Rapture there is no sign that precedes it, but with Jesus' Second Coming then there are tons of signs that precede it. We know from the Bible that the Antichrist sets up a one world government. It will be an intense time of persecution for Israel and Tribulation Saints. We read about world-wide judgments like oceans turning into blood. Everything apocalyptic like raining fire and brimstone happens before the Second Coming. Nathan Jones: After sitting down and reading through all these comparisons between the Rapture verses and the Second Coming verses, I could only conclude that it is impossible for there to be a Post-Trib Rapture — a Rapture that happens at the end of the Tribulation. If believers are raptured at the very end of the Tribulation they would go up, get their glorified bodies which are like angels in that they can't reproduce, then immediately come back down with Jesus to reign in the Millennial Kingdom. So, who is creating children? Glorified bodies are not creating children. The Bible talks about all the believers coming through the Sheep-Goat Judgment who will live through the Tribulation and enter the Millennial Kingdom and have children. There has to be believers left to have children. So, I think the Post-Trib Rapture view doesn't make any sense whatsoever. Nathan Jones: There's also the Mid-Tribulation Rapture view. It says the Rapture happens in the middle of the Tribulation. It's based on the 1 Corinthians 15:52 verse about the last trumpet blowing. This view then jumps to the conclusion that the "last trumpet" must be the Seventh Trumpet Judgment in the series of Seal, Trumpet and Bowl/Vial Judgments described in Revelation. It's an assumption that the Seventh Trumpet Judgment is the "last trumpet" of 1 Corinthians 15. When we follow the feasts of Israel we see a lot of major events have happened in the Bible during some of those feasts. The Church began for instance on the Feast of Pentecost. And so, I think that trumpet verse is particularly talking about the last Feast of Trumpets during the Church Age. Of the 114 references to trumpets, I don't know why the Mid-Trib Rapture position grabs onto the idea that the "last trumpet" is the Seventh Trumpet Judgment. Nathan Jones: Concerning the Pre-Wrath Rapture view, it claims the wrath of God happens only during the Bowl Judgments in the last quarter or so of the Tribulation, and that any judgments like the Seal and the Trumpet Judgments are merely the wrath of man or the wrath of Satan. But, God handed out those trumpets. They come from the throneroom of God. Jesus is the one who opens the Seal Judgments from the very first seal, and so the wrath that God is shown to be poured out throughout the entire Tribulation. The Pre-Wrath view has it right when it states that the Church is supposed to be raptured before the wrath of God is poured out, but gets what the wrath of God is wrong. The wrath of God begins the Tribulation, so again, the Rapture happen before the Tribulation begins. Bill Salus: A great passage about the Rapture is 1 Corinthians 15:51-54 which begins with, "I tell you a mystery." Therefore, the Rapture is one of those mysteries of the New Testament that Paul introduces. The passage goes on, "we will all be changed — in a flash, in the twinkling of an eye." As I understand it, in the original Greek language they didn't have nanoseconds, so blinking your eyes was the quickest measurement they had to describe a nanosecond in their vocabulary back then. The passage continues, "For the trumpet will sound, the dead will be raised imperishable, and we will be changed. For the perishable must clothe itself with the imperishable, and the mortal with immortality." It goes on to say, "When the perishable has been clothed with the imperishable, and the mortal with immortality, then the saying that is written will come true: 'Death has been swallowed up in victory.'" The wonderful thing about our website and any of the Bible resources that we leave online is that they will be there for people after the Rapture to answer their questions. They want to know what has happened. Where did these people go? Like you said, it will happen in a flash and twinkling of an eye. Two people will be walking and all of a sudden one is gone. The Rapture will create total havoc in the world. We wanted to be able to answer these people's questions. Now, we understand during that time there is going to be a great delusion on many people. Maybe they'll believe aliens snatched up those raptured. Or, they will try to explain it away with Global Warming. Bill Salus: Someone is going to have to give an explanation. Nathan Jones: Oh, yeah! They will have panels of experts talking about how it happened. We instead wanted to leave the truth with people. And so, I sat down and wrote ten answers to common questions that people basically would have, starting with the basics like "Is there a God?" and "Does He have a Son?" I walk the viewer all the way through the salvation message so they know what to expect, and they will have the real truth out there. Nathan Jones: The video's called "Jesus Came. What's Next?" Because YouTube has a 10 minute time limit for posting videos. We tried to make it in under 10 minutes, but it is awfully hard to answer such big questions in under 10 minutes. Nathan Jones: I broke it into two for YouTube, but services like Yahoo Videos and others allow you to post longer ones. In Tangle we're given up to 20 minutes. People can find it in a search by typing "Jesus Came" or "Rapture" or "people disappear." I tried to phrase it more like if they had a question. "Did many people disappear?" They can look that question up in Ask.com. lamblionresources.com for $5 to make it easy to leave around. People have written in to me and say, "We have left them in our food storage, we have put them in our safes, we have put it next to our Bible shelf. So, if anyone comes looking for food or clothing or what not during the terrible needs that will happen during the Tribulation they can find these and hopefully they will have a way to play them." Of course, other methods electronically are to pass them through people's IPods and cell phones and devices like that. We just want to leave it out there and it is our prayer and hope that tens of thousands or even millions (I don't know how many) will watch it both before and after the Rapture. I pray that the Lord will really bless this message of hope and will get it out to those people who are receptive to it. Someday I would like to see many people come to know the Lord through this resource and meet them in Heaven one day. Nathan Jones: It's $5 just because of the materials and the ink. I would give it away free if I could. A gentleman this week just bought 60 copies because he wanted to give them to all his Bible Study friends. "Jesus Came. What's Next?" is free all over the Internet where one can link to it and download it, especially if they have RealPlayer. Just do a right click and choose "Save As." The idea is to proliferate both the video and written versions out there, leaving them all over the place so they're easily accessible. Hopefully, the Lord will have a few people set up during the Tribulation that will come across the message, accept the Lord, and will continue to disseminate the message further during that time period. Bill Salus: Sometimes the concern is that with the Internet who knows if the "god of this world" (Satan) in the aftermath of the Rapture won't shut down powerful websites and things along those lines to try to prevent the longevity of something like what you have done in staying on the Internet. Therefore, these hard copy DVD's that are being circulated could end up being very powerful witnessing tools in the aftermath of the Rapture. Bill Salus: Yes, as it coughs up its dangerous explanation of what just happened, you are right, the best witnessing tools could be the books and the DVD's and the hard copy materials that will last. 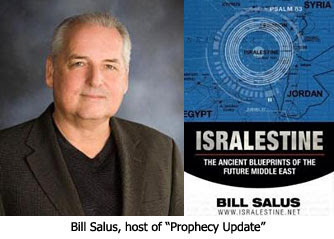 Bill Salus: I saw your production on the Lamb and Lion television show "Christ in Prophecy." You and David Reagan did a special on it. After I watched that special I was immediately brought to tears, Nathan. I tell you it was a well done production. You know, there are people whom we love presently who do not know the Lord. The Rapture could happen at a twinkling of an eye, right now, because it is imminent! All the signs are there pointing to the need to listen for the sound of the Archangel's shout and trumpet. It just gripped me because my concern is for the lost who are going to go through the subsequent traumatic times. 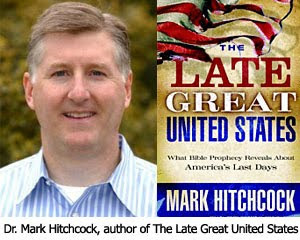 It can educate Christians, too, about the end times. I have had a number of people write in, including a gentleman from England. He wrote that he didn't know that much about the Rapture. He thought it was something quiet or mysterious that no one would know about. Well, the Bible is very clear that it is going to be a very loud event. We've got a shout from an archangel and a trumpet. And, though it might happen in a blink of an eye so that only believers alone possibly are hearing it, the Rapture is still going to have great global impact. It is going to let the world know there is a God, just like the ending of Ezekiel 38 and 39. And so, I am hoping that this video is very educational for Christians in the Church Age. What is the responsibility of every American in response to our nation's decline? This promise God made to Abraham. Think about how long ago He gave that promise to Abraham. He said that those who bless you I'll bless and then literally in the Hebrew it is the one that curses you God must curse. We've seen that played out through history. In fact, someone brought up a great point that every time people have tried to wipe out the Jewish people, the Jewish people end up with a holiday! With Pharaoh they got the Passover. With Haman they got the Feast of Purim. With Antiochus Epiphanes they got Hanukkah. And with Hitler, they really got the rebirth of their modern nation in 1948. And so, this promise has been played out throughout history — those who bless God's people are blessed and those who curse them are cursed. I think that the United States supporting Israel is one of the reasons that God's hand of blessing has been so evident upon our country. Unfortunately, though, what we see happening today in our nation is a slow but steady turning away from the nation of Israel and an abandonment of them. With all of the other problems that we have in our country that deserve the judgment of God and are already bringing judgment, the last thing that we need to do now is to be involved in anything that ceases to be a blessing to the Jewish people. Most people are not aware of the degree to which the United States is involved in forcing Israel to give up their heartland right now. It started with the first President Bush who basically said if you want us to guarantee loans to you from the World Bank then you've got to begin negotiating land for peace. We forced them to the negotiation. We forced them into a suicidal policy of appeasement, and as you well know, appeasement always wets the appetite of the aggressor. It never satisfies. We have had Israel's arm up their back ever since then. With both of the Bushes as well as Clinton and now with President Obama, it is the same thing, we are forcing Israel to give up their heartland. We have great power to force Israel to give up their land because we are the only ones in the United Nations who stand between Israel and economic sanctions that could destroy that nation with our veto, and the Israelis know that. We can say, "You can either do what we say, or else." I just call the policy "Land." It's not really land for peace, it is just land being given up for no peace. No matter how much Israel gives up, the Arabs want more. They don't even recognize Israel's right to exist. They're dealing with a people who don't even recognize their very right to exist! So, it is a futile policy, and a very difficult situation. We have to look at ourselves, because it is like when Isaiah was renouncing his woes on the nations in Isaiah 5 and 6. When we get to the end of the text there, what does he say? He says, "Woe is me." Let's not always be looking at the nation and its sin without first looking at ourselves.